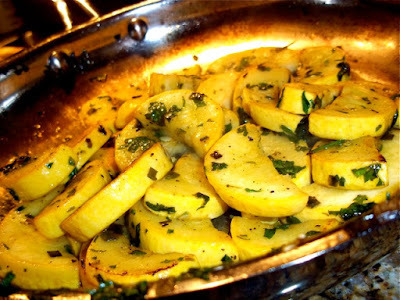 Summer Squash with Lime and Hot Sauce! I just finished a run today and was starving. When I got home, and looked in the fridge it was a sad sight. There was nothing in there of any worth. Some herbs, and one squash. T﻿hat was it. I mean there were some other scattered things, but nothing that I could really make a meal out of. I looked in the cabinets and there was some pasta, and pistachios. I wanted neither of those. Looked like my lunch was going to be a protein shake. I actually liked it, but it isn't my idea of a good time. I want to chew my meals if you know what I mean. So my next thought was that I needed to get to work soon, and would need to bring food with me for dinner. I guess it's going to be that one Summer Squash! I figured I would doctor it up and just deal with it. So I pulled it out of the fridge along with some basil, parsley, and dried chives from the spice cabinet. On further thought I decided I wanted a little heat too so I took out the Cholula! This weekend was Anthony, one of P2's closest friend's bachelor party. So while they were off to do what bachelors do, Kristen (the bride) and I had our own party! Ok... so drinks at Vynl in Hell's Kitchen and Saganaki at Uncle Nick's might not seem like a "party" per se, but to us its pretty close. If you do not know what Saganaki is, it is amazballs! Greek cheese, fried, and then doused in liquor and lit on fire! Then the fire is put out with lemon juice. It is sinful, delicious, and once you have it you can't stop from wanting it all the time. We actually ordered a second round! The picture to the right is our second serving being sent over. Just seeing it makes me want to hop into a cab and rush to Hell's Kitchen with a lighter and half a lemon!